Herbed Sourdough Pizza Dough | What Smells So Good? In a stand mixer fitted with the dough hook, mix all the ingredients to combine. 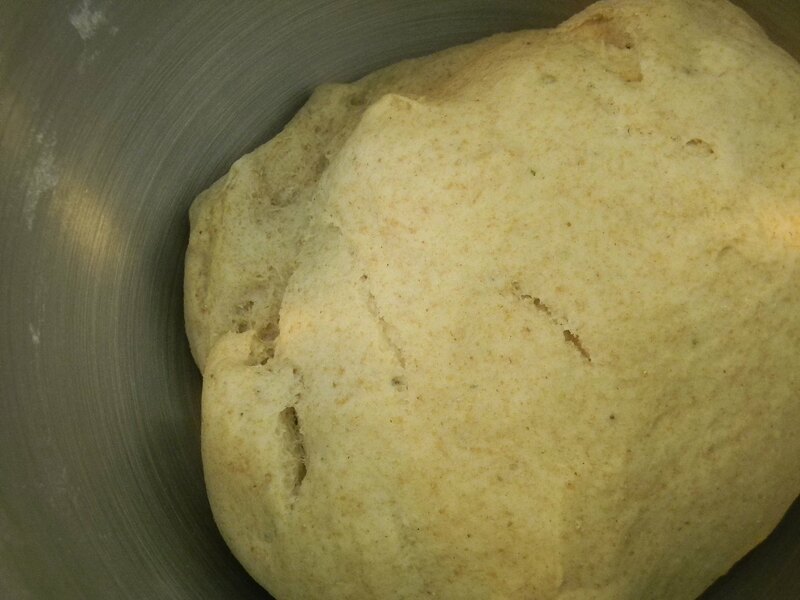 Increase the speed to medium and knead 8 minutes, until smooth and slightly sticky. Place in a lightly greased container, cover and let rise until doubled - about 1 - 1 ½ hours. Drizzle two 12" round pizza pans with olive oil, tilting the pans to coat the bottom. Sprinkle generously with cornmeal. Punch down the dough and divide in half, cover and let rest 15 minutes. With a rolling pin, begin flattening the dough into a round, always starting from the centre of the ball and moving outwards. When the dough starts to shrink back, cover and let it rest again for 15 minutes, then place in the prepared pan and finish by pressing the dough to the edges of the pans. If freezing dough, wrap in plastic, then foil and store in a freezer bag up to 6 months. Unwrap and thaw in the fridge before proceeding. 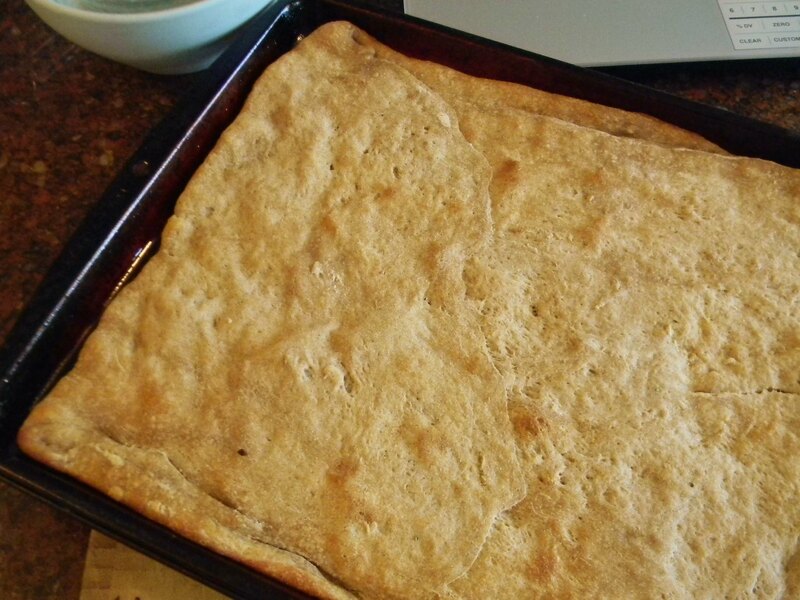 Drizzle olive oil into a rimmed 10" x 15" cookie sheet or a 14" round pizza pan, tilting the pan to coat with the oil. Sprinkle generously with cornmeal. Punch down the dough and shape into a flattened disk. Place in the pan, cover and let it rest for 15 minutes. Push the dough towards the edges of the pan. If it starts to shrink back, re-cover and let it rest for 15 minutes before proceeding. Cover and let rise for 1 hour, or until desired thickness is reached. Heat your oven to 450°F. 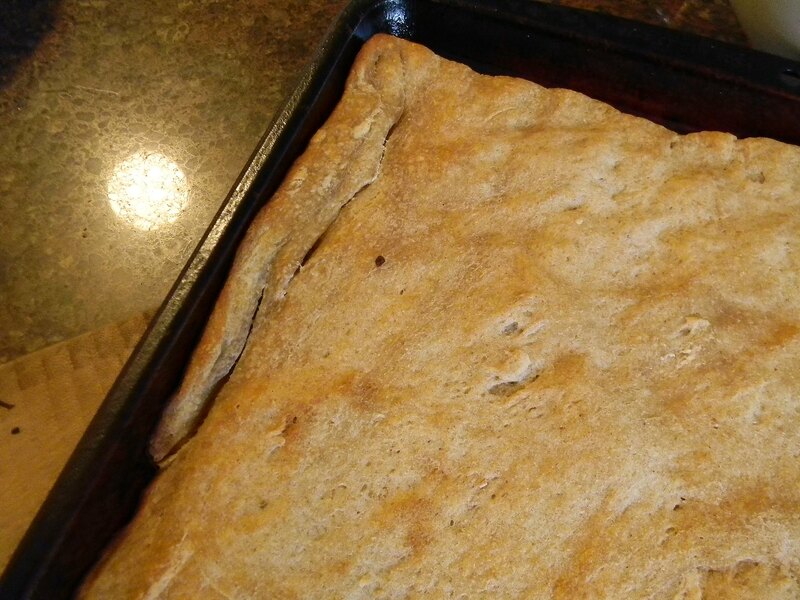 For thin crusts, par-bake the dough for 4 minutes, then top and bake for an additional 8 to 10 minutes. For a thicker crust, par-bake the crust for 8 minutes before topping. Top and bake 10 minutes longer. Par-bake the crust(s) as described above and cool completely. Wrap in plastic, then foil, and freeze up to 2 months. Thaw completely before proceeding.